The shower valve is an essential part of a shower. Although it is not visible, it plays a big role and makes the shower works properly. Hence, it pays to have the best shower valve you can buy and know more about how this small but crucial part works. 2 What Shower Valves Do? This Delta Faucet is one of the best systems that comes from Delta Faucet Company, which includes a revolutionary system for easy switching of shower functions. It also has good style and also does not need much alteration in the plumbing. See more Delta Faucet Shower Valves. It is able to accept single or dual cartridges. It has a back-to-back capability. It is made from a durable brass material. 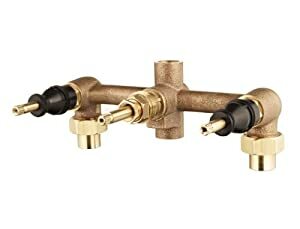 It allows for easy fixture changes without much plumbing alterations. It is not compatible with all shower types. The trims are sold separately. The Kohler Pressure-Balancing Valve enables the user to perfectly control the temperature of the water to prevent any scalding or freezing. One can set the temperature at a maximum high or low temperature and anything in between. See more Kohler shower valves. This valve has the ability to prevent any extreme temperature by perfectly controlling it. It contains a high-temp limit functions that enable you to set a maximum hot temperature. It also has a design that allows it to keep from freezing and contamination. It also has an optimum comfort zone function for keeping the right temperature. It has a good back-to-back installation. 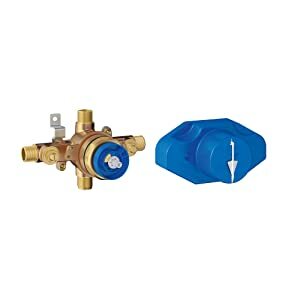 The Moen Pressure-Balancing Cycling Shower Valve comes with its own Moen M-PACT trim kits, which makes it unique from other shower valve brands. It also has a PosiTemp feature that allows it to properly regulate the temperature as to not make the water too hot or too cold. See more Moen shower valves. It comes with ½ inch CC connections. It also comes with ¼ turn stops. It has the PosiTemp valve for optimal water maintenance. It has a Limited Lifetime Warranty. It has a 1222 cartridge perfect for back-to-back installation. Grohsafe is one of the most efficient and effective valves for family usage. It is very durable and also works well as protection against scalding or freezing. See more Grohe shower valves and Grohe company. It has a very efficient temperature control function for prevention of extreme temperature. It also has a wide comfort zone for regulation. It has a very nice design. The company behind this product has had 100 years of experience with water plumbing products that it is able to provide such a good product. The Pfister Tub and Shower Rough-In Valve is great for all kinds of showers. Moreover, it is of top quality, all thanks to its manufacturing process that uses superior technology. 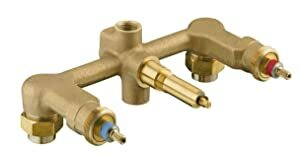 See more Pfister shower valves. It includes all the union nuts needed for installation. It has a 3 hole installation. It has ½ Union inlets and ½ I.P. outlets. It is covered by a warranty for life. It is not easy to install. The SR Sun Rise is quite a well-known brand in the shower parts industry as this brand is known for creating well-concealed shower valves. Their most coveted products are best for those showers with mounted designs. See more SR Sun Rise shower valves. It comes with a fixed shower head combo with water supply. It is made from ceramic, which is very durable. It comes with an attractive square design. Its instructions are not very simple and quite hard to understand. 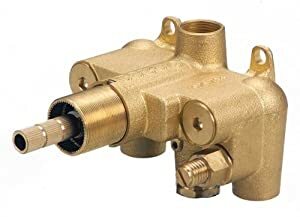 What makes this one of the best valves on the market is that it allows you to control the water temperature with very sharp precision. This precision is what makes the valve very valuable and also very appealing to most customers. It is able to deliver a flow rate of 16.6 GPM at 45 lbs/sq inch. See more Danze showe valves. It has a flow rate of 16.6 gallons and PSI of 45. It has integrated check valves and also screwdriver stops. It has ¾ inch FPI outlets and inlets. It is only compatible with Danze 5620 thermostatic trims. It requires a separate control of volume. It does not work too well with a single showerhead. The brand of Kohler is one of the more well-known names when it comes to shower valves. This Kohler MasterShower Thermostatic Valve has integrated volume control and stops, making it easier and more accurate to control the water temperature and flow. It features a shuttle design, which is very innovative. This shuttle design allows for the valve to give tight precision and accuracy for temperature control. The shuttle design also has a feature that allows a strong flow rate that can also be controlled. The thermostatic valve has a feature to allow the pre-setting of exact temperatures for shower enjoyment. It has a standard comfort setting, which is default at 104 degrees Fahrenheit. It comes with a sophisticated high-temperature limit and stops for better and consistent control. This brand features a ceramic valve, which is able to stay clean even after a long period of time. It also prevents hard water from building up and has a tight control of water flow. The body is made from a durable brass material. It comes with a one-piece ceramic valve. It has an ergonomic handle rotation for easier water control. It has an efficient diverter function. It is made of solid brass. It is not compatible with many showers. The Delta Multichoice faucet integrates diverter functions for bathtubs and shower combos. It also comes with a great design that can be sported with any shower. It is able to keep the water temperature at +/- 3 degrees Fahrenheit. It has a one-piece valve body. It is good for back-to-back installation. It can only be used for rough-ins. 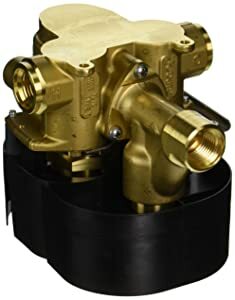 The Danze diverter valve comes with mounting brackets and copper sweat ports. 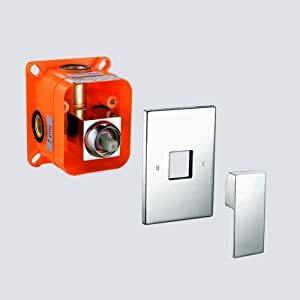 It is also a four-port diverter valve and has three outlets. It is also made from a solid brass material. It can support a total of three shower systems. It has eight-position channel for all three shower outlets. It comes with ½ inch IPS sweat ports. It comes with mounting brackets. It can be used only with D5608 trim kits. No matter what kind of shower you have, whether it may be a steam shower or an electric shower, it will always have some sort of shower valve that helps regulate the flow of water. 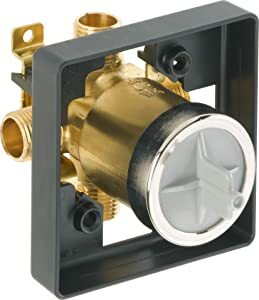 A shower valve is a small part that connects two pipes where different temperatures of water come from. The valve is the part that controls how strong the water will flow out of the shower head and how hot or cold it will be. Valves can be found in all showers and are the part that ensures a steady flow of water from the head. While there are many valves available on the market, there are usually three main types of shower valve. This valve is the most common one that can be found in most household showers. 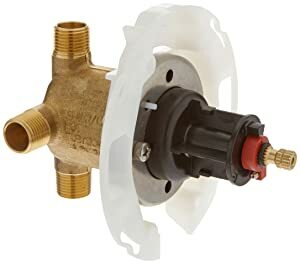 This is the type of valve that is used for regulating the temperature of the water so that you get the temperature that you want when you shower. It also controls the pressure of the water that comes out of the faucet. 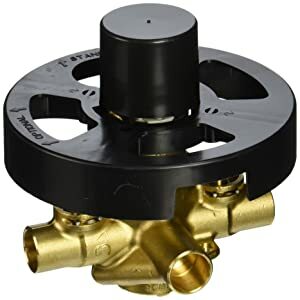 In this category, there is a shower valve for low pressure, a shower valve for high pressure, and a shower valve for hard water. The thermostatic valve is used mainly for controlling the temperature of the water. It pays to have the best thermostatic valve that you can buy because the best one can help you easily control the temperature of your shower without having to wait for the temperature to reach your desired temperature. You can instantaneously get the temperature that you want by pre-setting it beforehand. 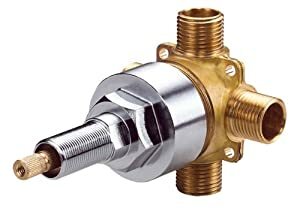 The last type is the shower diverter valve which is usually used in showers that are connected to bathtubs. These can also be found in a baby bath tub or a walk in tub that has a shower connected to it. This valve is the one responsible for changing the flow of water from the shower to the faucet of the tub. The different types of valves were already discussed in the last section, so all you have to do is simply choose the one that’s most suited for you. If you have a bathtub, then you need a diverter valve. If you have the regular shower in a shower enclosure, then you may use either of the temperature or pressure valves. Next would be the function of the valve. 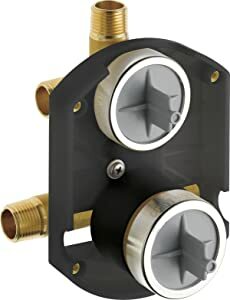 Some valves can control temperature and pressure for one outlet while there are others that can handle multiple outlets and functions with different switches. The functions that you’d like to have for your shower will help you decide which shower valve suits you best. The price of the valve to buy depends on your budget. You must first research on the first two criteria and create your budget based on that. There will be times when you will need to fix or replace your shower valves because of problems such as lime build-up, depreciation, leaks, or hot water service change. If you happen to experience some of these, then some small fixing jobs can be done. One of the things that can be done would be to clean it up. This is the ideal fixing job that one can do for lime or grime buildups. You must just remove the cartridge, disassemble the valve, and soak the valve. You may soak it in vinegar or spray it with shower cleaner for more effectiveness. For other problems such as leaking or wear and tear, you might need to replace your valve. 10. Test the new valve for any leaks. The clear winner of the selection is the Kohler Thermostatic Valve that Features an Integrated Volume Control and Stops. This is because it gives all of the best benefits with the least number of disadvantages. Although it is a bit pricey, the features and benefits it provides are definitely worth the money. Simply the best handheld shower heads ever!